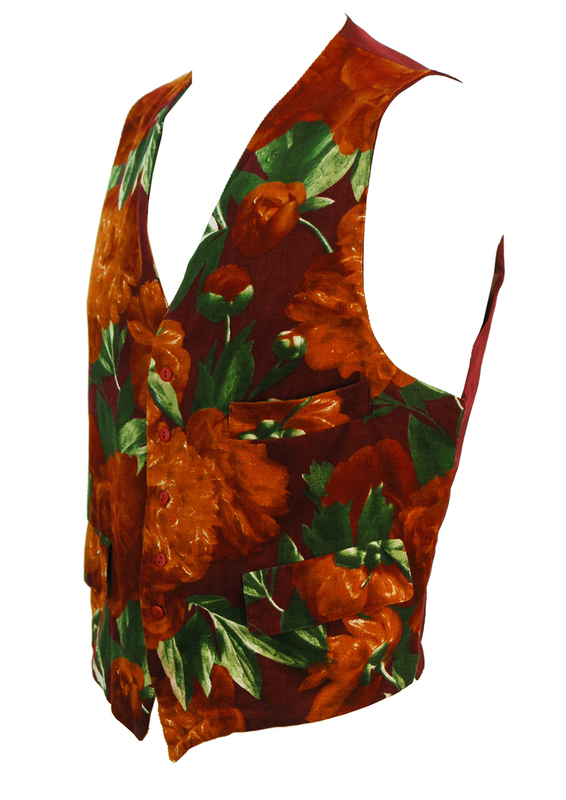 Burgundy fine cord waistcoat featuring a bold floral pattern in rich colourways of ochre and green. 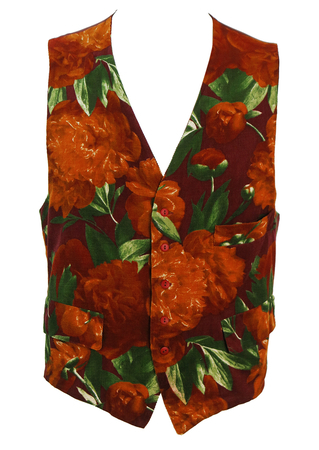 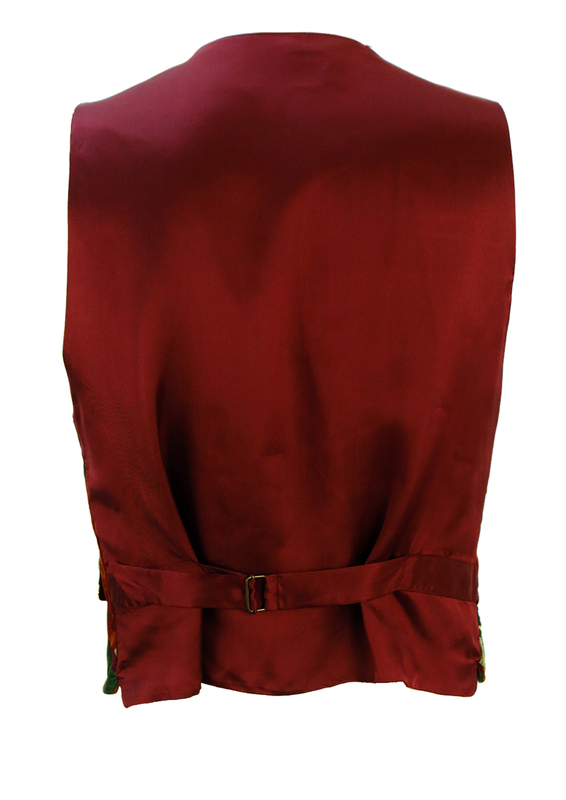 The waistcoat has 3 front pockets and is lined in a satin-like burgundy lining with an adjustable strap at the back. 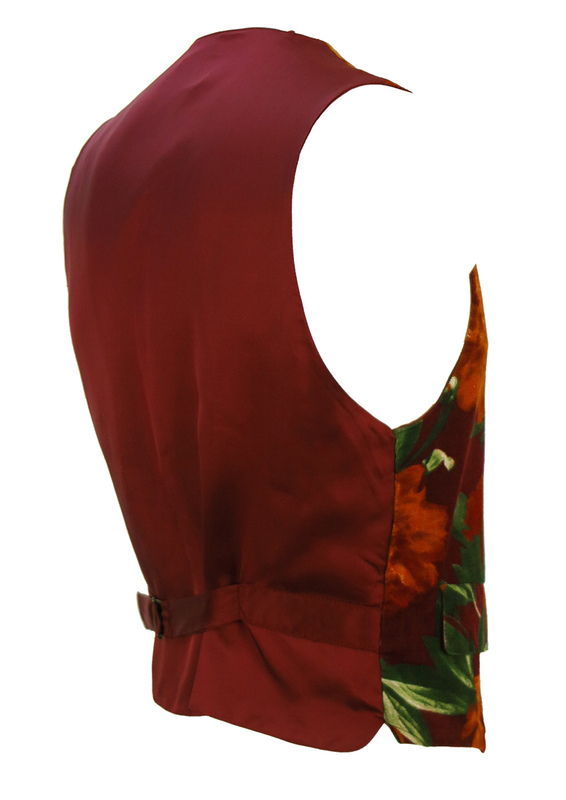 The sizing label states a size 48 which we have equated to a size M. Please refer to our measurements for further sizing guidance. 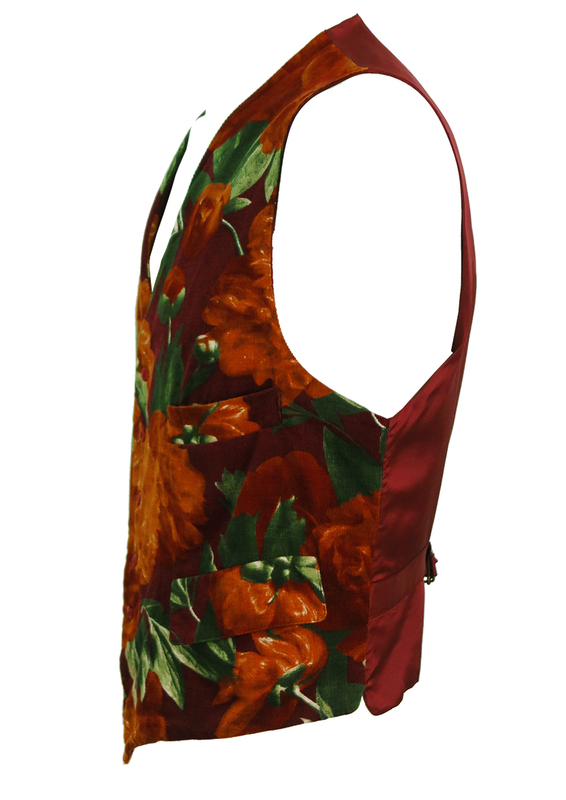 The chest measurement has been taken with the strap undone at back and the waistcoat length has been taken at it’s longest point at the front.